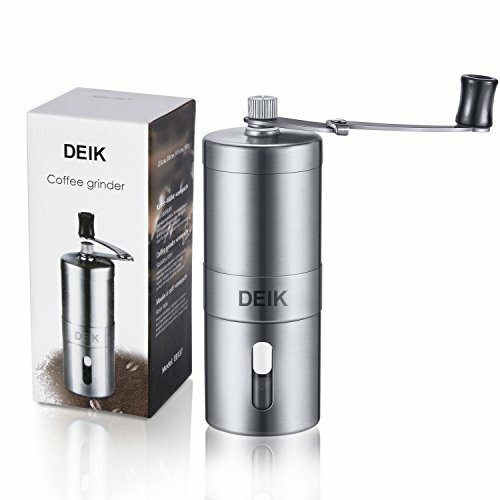 Adjustable: Easily grinded to the desired grain size. 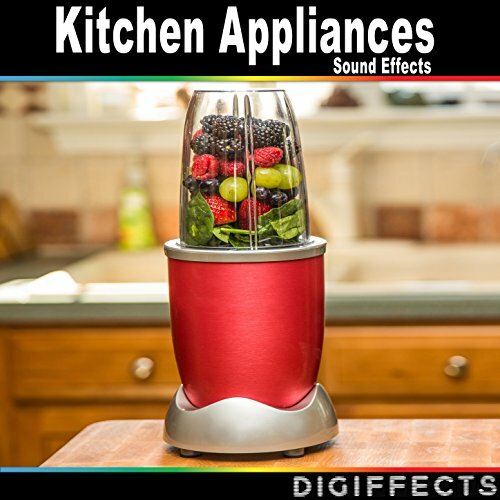 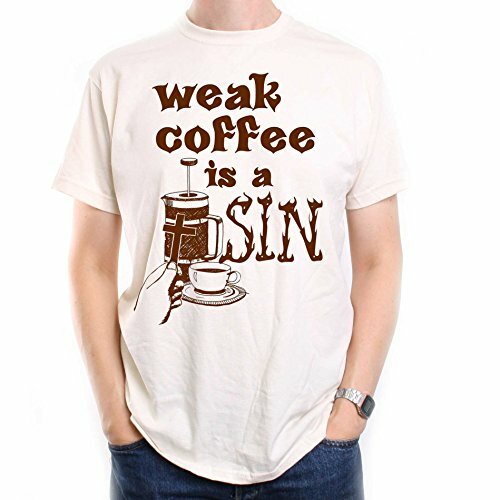 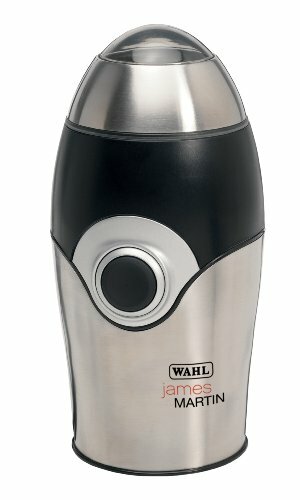 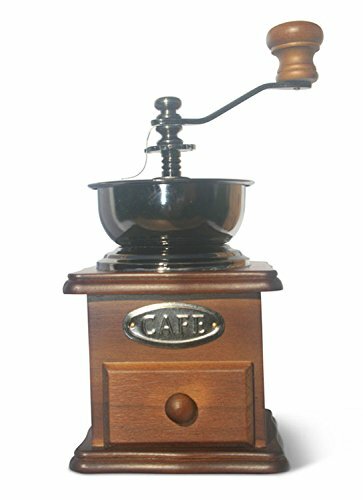 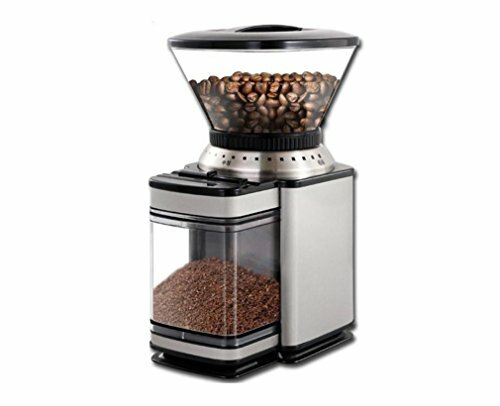 Please clean it with a mild detergent and dry the coffee grinder well after use. 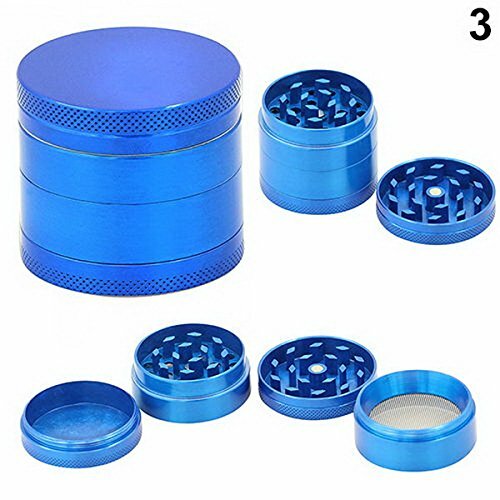 Please use a soft cloth to keep away from scratching the grinder. 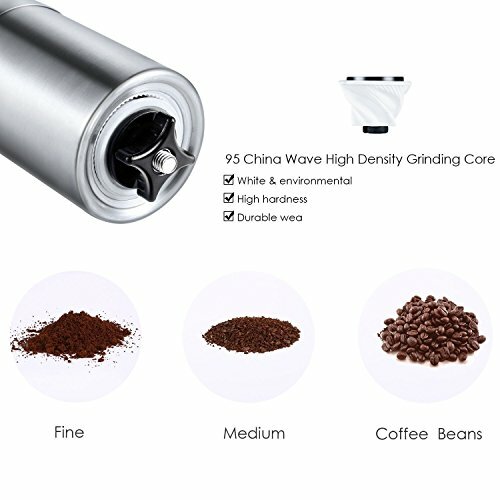 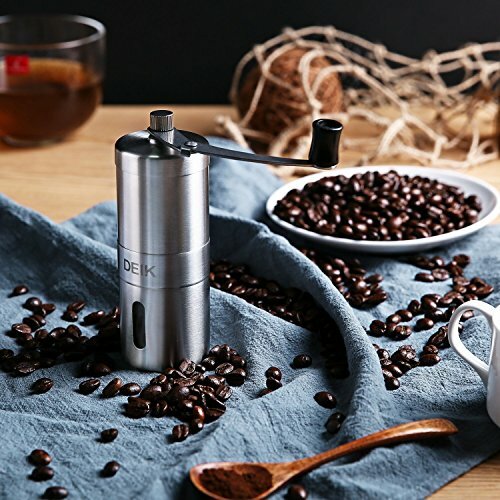 High-Grade Materials: Thanks to the hardened and high-quality ceramic grinder, no additional heat is created all through the grinding process. 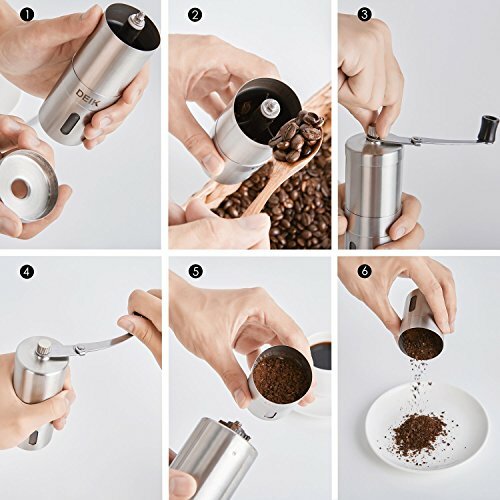 That helps a lot to retain a original flavor of coffee. 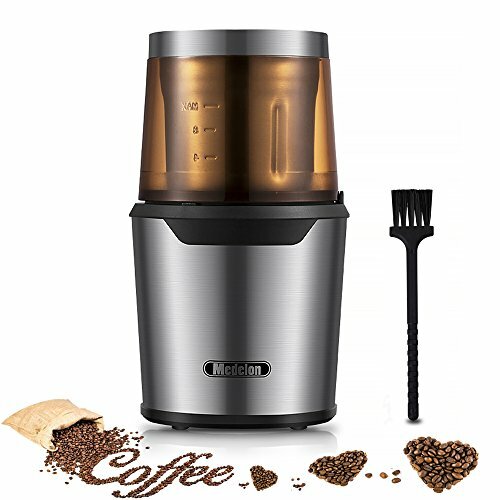 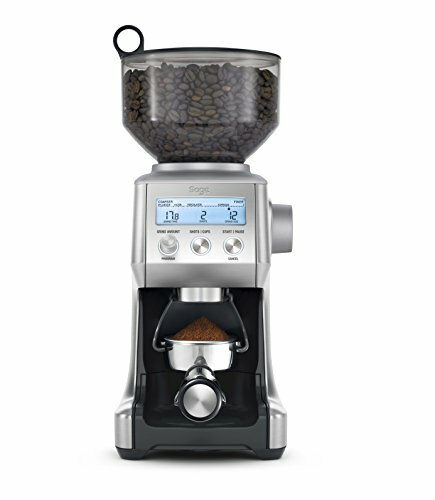 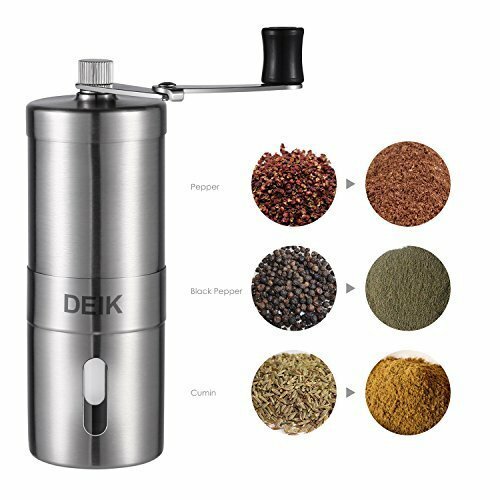 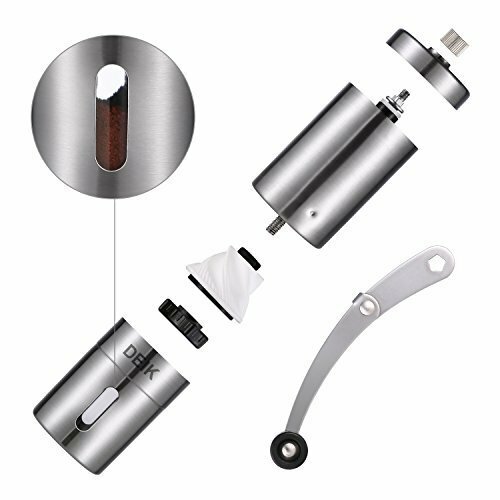 Adjustable Grinder: The grinding degree is individually adjustable, so You’ll get a optimal grain size for every type of food preparation. 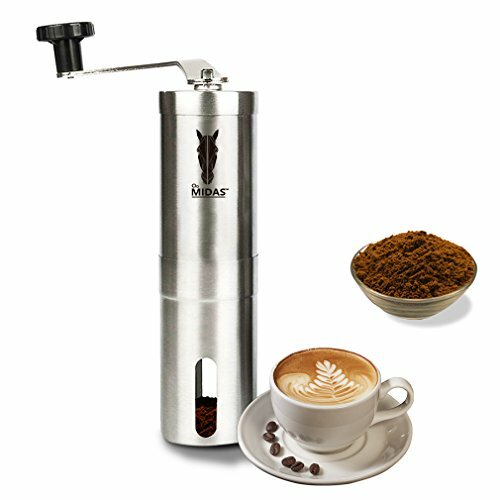 Cleaning & Warranty: It could not be easier as the grinder is of course suitable for dishwashers. 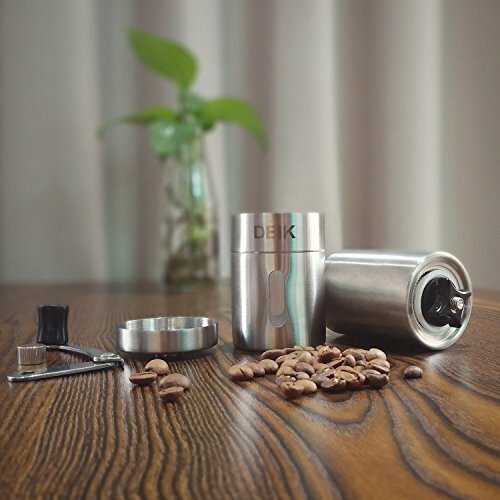 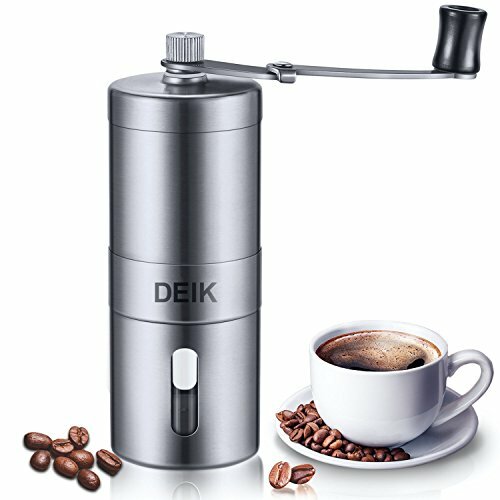 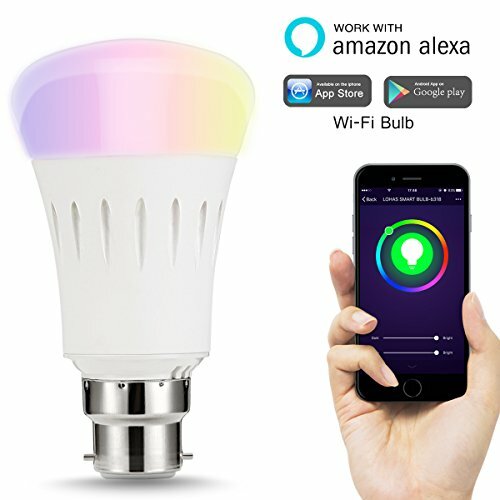 Deik customer service team will also will let you get the most efficient solutions very quickly If there has any problems with the prduct.